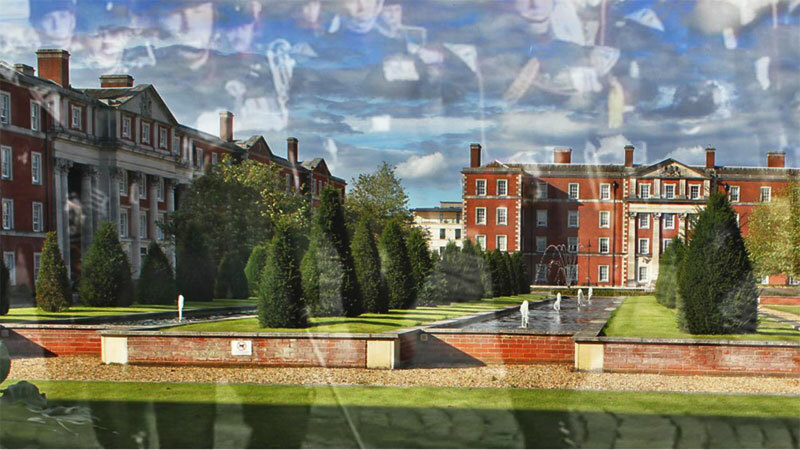 The Goddard Family were a prominent landed family chiefly living in the northern region of the English counties of Wiltshire, Hampshire and the western part of Berkshire, between the Tudor period and the late modern era. The Goddard family were established at Upper Upham House, near Aldbourne, from at least the late 15th century. From 1563 until 1927, the family were Lords of the manor of Swindon, living on the Goddard Estate in The Lawns. 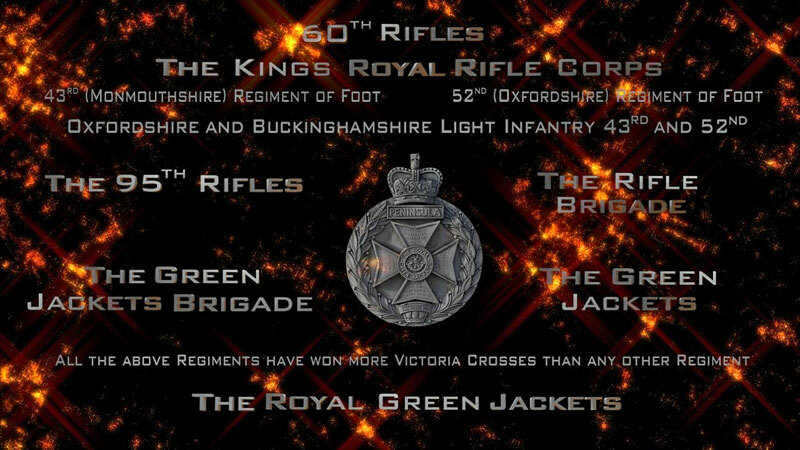 Other important manors included Clyffe Pypard and Ogbourne St george in Wiltshire, Standen at Hungerford in Berkshire and Stargroves at East Woodhay in Hampshire. Thomas Goddard’s purchase were said to include profits of the fairs and the weekly market, 60 messuages, 40 cottages, 2 water mills, 100 gardens, 100 orchards, 600 acres (2.4 km2) of land, 200 acres (0.81 km2) of meadows, 1,000 acres (4.0 km2) of heath, 30 acres (120,000 m2) of woods, 120 acres (0.49 km2) of pasture and one dovecote. The estate included the area known today as the Lawns, and was bounded by the High Street and the site of Christchurch. The Manor House was rebuilt around 1770; it is probable that this was on the site of a medieval building. 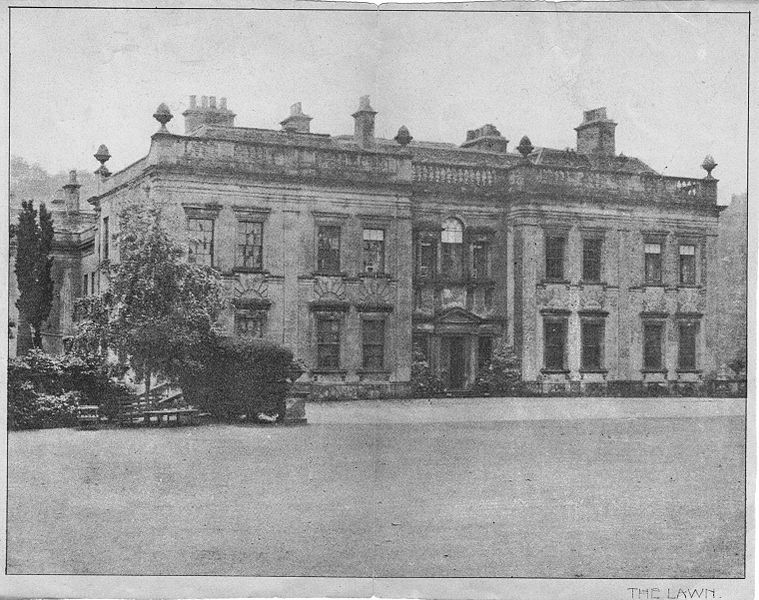 The Manor building was known as Swindon House until 1850, and is now known as the Lawn. The family home was a double-cube fronted building of brick with stone dressings and a baluster parapet. To the east of this was a five bedroom dining block that looked out onto the gardens. When last occupied by the family, the Lawn had an outer and inner hall on the ground floor (giving access to a lobby and drawing room, a dining room with adjoining study, billiard room, library and gun room. There were two staircases leading to the various bedrooms, some with adjoining dressing rooms and also the nursery and servants quarters. The grounds included an arboretum, lawns, artificial lakes and ornamental gardens and was used for entertaining, garden parties and fetes. During cold periods the frozen lakes were used by the family and local residents for ice skating. The last of the male line, Major Fitzroy Pleydell Goddard, a diplomat, died in 1927. His widow, Eugenia Kathleen, left Swindon in 1931. Subsequent to this, the house remained empty until it was occupied by British and American forces during World War II. Damaged by the military, it was bought from The Crown by Swindon Corporation in 1947 for £16,000. The sale included 53 acres (210,000 m2) of land, the Manor house and the adjacent Holy Rood Church. 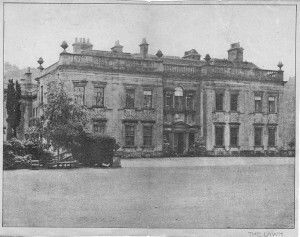 The house itself was derelict by 1952 and demolished. The Manor grounds were opened as parkland and remain so. Today; the wood, lake, sunken garden, elements of the walls and the gateposts at the entrance to Lawns are all open to the public. The site of the former stables are now the Planks auction house. Thomas Goddard of Upham acquired the Manor of Swindon in 1563 and his descendant family were Lords of the Manor up until the 20th century. Descent is from Father to Son unless noted. Originally from Upham, a small village south of Swindon, Thomas Goddard acquired the Manor of Swindon in 1563 from the Crown. He also purchased the Crown Inn later re-named the Goddard Arms and to become Swindon’s de facto Towen Hall, Courthouse and Council rooms until the mid-19th century. Granted the right to hold Markets and Fairs in the town in 1626 from the King. Converted one of the Estate’s alms house into the town’s first Market House in 1703. Born 9 December 1819, died 15 November 1898. 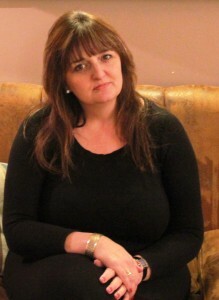 Deputy-Chairman of the M and SWJR. Thomas Goddard (born on the 9th of August 1777 died in January 1814) is recorded as being the Member of Parliament for Cricklade from 1806–12. Ambrose Lethbridge Goddard (Lord of the Manor) 1847–68 and 1874–80 (serving alongside Sir Daniel Gooch). The Goddard family owned the Stargroves estate at East Woodhay from 1565 until about 1830. In the 1550s, Standen Manor in Hungerford was bought by John Goddard of Upper Upham House and it became one of the family’s favourite homes.The family purchased Clyffe Pypard Manor in Wiltshire around the same time and divided their time between the two. They were associated with the place for about 150 years. Rayner Goddard, Baron Goddard (10th April-29th May 1971) was the Lord Chief Justice of England from 1946 to 1958 and known for his strict and conservative views, despite being the first Lord Chief Justice to be appointed by a Labour Government, as well as the first to possess a law degree. He was nicknamed the `Tiger` and ” Justice in a Jiffy” for his no-nonsense manner. He once dismissed six appeals in one hour in 1957. Raynor Goddard was born on the 10th of April in 1877 at Bassett Road, Notting Hill, London, the second of three sons and the third of five children. Goddard attended Marlborough College, where he decided on a career in law, later in life he vigorously denied the frequent claims of Lord Jowitt that he had amused his school contemporaries by reciting, word for word, the form of the death sentence upon those whom he disliked. He later attended Trinity College, Oxford and graduated with an upper second-class degree in jurisprudence in 1898, and gained a full blue in athletics. 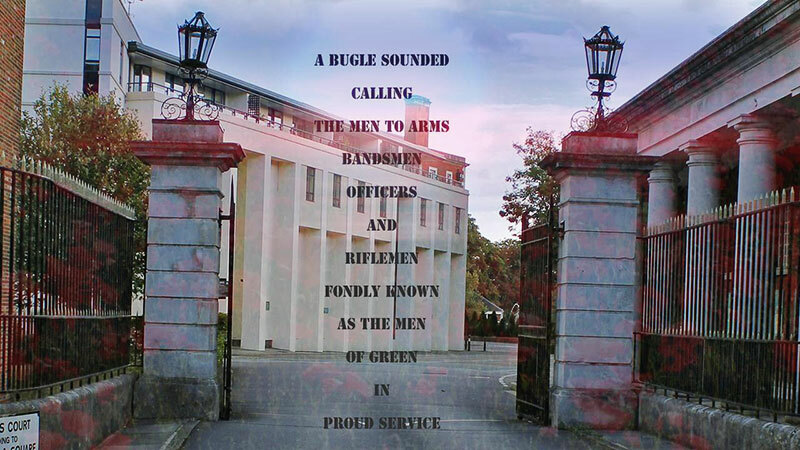 He was called to the Bar by both the inner Temple and Gray`s Inn in 1899. On the 31st of May 1906 Goddard married Marie Schuster, the daughter of the banker Sir Felix Otto Schuster, with whom he was to have three daughters. Marie, she died on the 16th of May during an operation at the age of 44, Goddard never remarried. He built a strong reputation in commercial cases on the Western Circuit and was appointed as Recorder of Poole (a part time judgeship). Goddard was appointed a King`s Council in 1923, transferred to be the Recorder of Bath in 1925, and eventually Recorder of Plymouth in 1928. He was also elected a Bencher of his inns in 1929 and overtook work for the Barristers Benevolent Association. In the general of 1929, Goddard agreed, against his better judgement, to contest the Kensington South constituency as an unofficial Conservative candidate. The sitting Conservative MP, Sir William Davison, had been a defendant in a divorce case, and a local committee thought the newly enfranchised young women voters would refuse to support him. In the end, Goddard, running under the slogan “Purity Goddard”, came last in the poll, winning only 15% of the vote and as a sitting member was returned. On the 5th of April 1932 Goddard was appointed a full-time Judge of the King`s Bench Division of the High Court of England and Wales, he received a knighthood later that year. After only six years he was promoted again to be a Lord Justice of Appeal. Goddard was known for turning out well-argued and legally convincing judgements. He would deliver stern diatribes to criminals, but his sentences were usually moderate, even when he was personally offended by the crime. After another six year stint, he was appointed as a Lord of Appeal in Ordinary upon the death of Lord Atkin in 1944 and received as a Law Lord a Life Peerage. He chose the title Baron Goddard of Aldbourne in the County of Wiltshire. Viscount Caldecote, the Lord Chief Justice of England and Wales, suffered a stroke in 1945 and suddenly resigned, creating a vacancy at an inopportune moment. The tradition was for the appointment to be a political one, with the Attorney-General stepping up to take it. However, Hartley Shawcross was unwilling and considered too young. The appointment of a stop-gap candidate was expected. As Goddard explained in an August interview with David Yallop in 1970. “they had to give the job to somebody and there wasn`t anybody else available, so Attlee appointed me.” The appointment, in January 1946, came at a time when the crime rate and public concern over crime, were both increasing. Through his judgements, Goddard made it clear that he felt that stronger sentences were the way to tackle both. However, though a severe judge, Goddard was known to give young offenders probation rather than custodial sentences, if he believed that they would respond. Goddard was the first Lord Chief Justice to hold a law degree. Despite his appointment as a stop-gap, Goddard served twelve and a half years as Lord Chief Justice before stepping down in the August of 1958. In the June 1951, Goddard ruled in Willcock v Muckle that giving police the power to demand an ID card “from all and sundry, for instance, from a lady who may leave her car outside a shop longer than she should”, made people resentful of the police and “inclines them to obstruct the police instead of to assist them.” Therefore, for the police to demand that individuals show their ID cards was unlawful because it was not relevant to the purposes for which the card was adopted. ID cards, in force since the start of World War II, were abolished in the February of 1952. In the December of 1952 Goddard presided over the trial of Christopher Craig and Derek Bentley, accused of the murder of PC Sidney Miles at a Croydon warehouse on the 2nd of November in 1952. Sixteen year old Craig had shot and killed PC Miles whilst resisting arrest on the roof of a factory he intended to break into. Bentley, who was Nineteen but of limited intelligence, had gone with him and was accused of urging Craig to shoot, having called out to him “let him have it, Chris”, when a policeman, Sergeant Frederick Fairfax, asked Craig for the gun. Fairfax was wounded by Craig. Lord Goddard directed the jury at the trail that, in law, Bentley was as guilty of firing the shot as Craig, even though there was contradictory evidence as to whether Bentley was aware that Craig was carrying a gun. During the trial, Goddard made no reference to Bentley’s mental state. apart from when Travers Christmas Humphreys asked Bentley to read a statement he had allegedly made to Police Officers after his arrest. Goddard told Humphreys that Bentley couldn’t read. Goddard chose to continue his involvement with trials on the frontline and opted to judge ordinary High Court cases as he was entitled to do. He presided over the 1946 libel trial at which Harold Laski, Chairman of the Labour Party, attempted unsuccessfully to sue the Daily Express for damages when it quoted him as saying that the party must take power “even if it means violence”. On the 13th of June in 1965, Goddard told Harold Laski’s brother, Neville Laski, that he was opposed to the jury’s findings at his brother’s libel action case and that he believed his brother, but that Harold Laski did not make a good witness in court. Goddard also said that he regretted the way in which he had conducted the trial. In 1948 backbench pressure in the House of Commons forced through an amendment to the Criminal Justice Bill to the effect that capital punishment should be suspended for five years and all death sentences automatically commuted to life imprisonment. The Bill also sought to abolish judicial corporal punishment in both its then forms. the cat-o-nine-tails and the birch. Goddard attacked the Bill in the House of Lords, making his maiden speech, saying he agreed with the abolition of the “cat”, but not birching, which he regarded as an effective punishment for young offenders. He also disagreed with the automatic commutation of death sentences, believing that it was contrary to the Bill of Rights. In a debate, he once referred to a case he had tried of an agricultural labourer who had assaulted a jeweller: Goddard gave him a short 2 month`s imprisonment and twelve strokes of the birch because ” I was not then depriving the country of the services of a good agricultural labourer over the harvest”. The suspension of capital punishment was reversed by 181 to 28 and a further amendment to retain the birch was also passed ( though the Lords were later forced to give way on this issue). As the crime rate continued to rise, Goddard became convinced that the Criminal Justice Act of 1948 was responsible as it was a`Gangster`s Charter`. He held a strong belief that punishment had to be punitive in order to be effective, a view also shared at the time by Lord Denning. During the committal hearing for the suspected serial killer Dr John Bodkin Adams in the January of 1957, Goddard was seen dining with the defendant`s probable gay lover, Sir Roland Gwynne (Mayor of Eastbourne from 1929 to 1931) and ex Attorney-General Hartley Shawcross at an hotel in Lewes. Goddard had already appointed Patrick Devlin to try Adams`s case. Three months later, on the 15th of April, while the jury was out discussing the verdict on Adams`s first charge of murder, Goddard telephoned to Devlin to urge him, if Adams were to be found not guilty, to grant bail before he was tried on a second count of murder. Devlin was surprised since a person accused of murder had never been granted bail before in British legal history. Adams was acquitted on the first count of murder and the second charge was controversially dropped via a nolle proseqi- an act by the prosecution that was later called by Devlin an “abuse of process”. Adams was thought by patoloist Francis Camps to have murdered up to 163 patients. Historian Pamela Cullen and the assistant investigating Officer, Charles Hewett suspected political interference to ensure his acquittal. A month after Adams trial on the 10th of May 1957, Goddard heard a contempt of court case against Rolls House Publishing, publishers of Newsweek and chain of newsagents W.H.Smith, who on the 1st of April during Adams`s trial had respectively published and distributed an issue of the magazine containing two paragraphs of material “highly prejudicial to the accused”, saying Adams`s victim count could be “as high as four hundred”. Each company was fined £50.00. Goddard made no mention of his friendship with Roland Gwynne and the potential conflict of interest. In January 1959, five months after retiring as Lord Chief Justice, Goddard resumed regular judicial sittings in the House of Lords, continuing until 1963 when he fully retired. During this period he was a member of the judicial committee of the House of Lords in several controversial appeal cases, including Director of Public Prosecutions v Smith (1961), Sykes v Director of Public Prosecutions (1962), and Attorney-General for Northern Ireland v Gallagher (1963). In the April of 1959 Goddard took the unprecedented step of returning to sit in the Court of Appeal for almost a year to help clear a backlog of appeal cases. 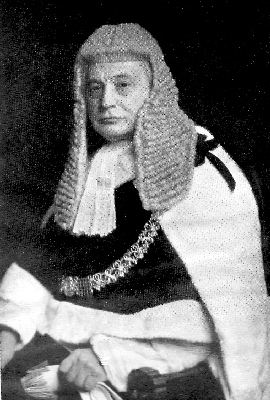 After retiring as Lord Chief Justice, Goddard continued to intervene occasionally in Lords debates and public speeches to put forward his views in favour of judicial corporal punishment. On 12 December 1960 he said in the House of Lords that the law was too much biased in favour of the criminal, as he was to assert to David Yallop nearly ten years later. Goddard also expressed his opposition to the legalisation of homosexual acts on the 24th of May 1965. His final speech in the House of Lords was in the April of 1968 at the age of 91, praising the City of London’s law courts. In the final interview he ever gave, in the August of 1970, Goddard told David Yallop that being Lord Chief Justice was not an easy job. When Yallop, who believed that Craig should have been imprisoned for manslaughter and Bentley thus cleared, asked Goddard about Derek Bentley’s execution, he received the following reply, “Yes, I thought that Bentley was going to be reprieved. He certainly should have been. There’s no doubt in my mind whatsoever that Bentley should have been reprieved”. Goddard remarked that what troubled him was not Bentley being hanged when he was close to the minimum age, but the hard facts of the case, such as Bentley being innocent of the murder of PC Miles. Goddard went on to slam David Maxwell Fyfe in the two-hour interview, saying that he made the recommendation to mercy to Maxwell-Fyfe and that “Bentley’s execution was an act of supreme illogicality. I was never consulted over it (the decision and execution). In fact he (Maxwell Fyfe) never consulted anyone. The blame for Bentley’s execution rests solely with Fyfe”. It is true that Maxwell Fyfe, who died in the January of 1967, was as much a supporter of the death penalty as Goddard. However, despite stating his opposition to Bentley’s execution, Goddard still expressed his strong support for the death penalty and asserted that the law was biased in favour of the criminal, as he did almost ten years before. Whether Goddard felt this at the time of Bentley’s execution, or was saying it only in hindsight, remains controversial. Goddard’s claims in the 1970 interview were disputed by John Parris in his book “Scapegoat” (Duckworth), published in 1991. Parris, who died in 1996, was Craig’s barrister at the 1952 trial, and wrote that Goddard told Maxwell Fyfe to ignore the jury’s recommendation for mercy, and that Bentley must be hanged.